With this being said, here are few benefits of buying a programmable thermostat. As mentioned previously, you can cut down on energy bills. Regardless of the model you choose, thermostats are designed to reduce energy consumption. Whether it is your heating or cooling bill, thermostats will ensure that you save money. 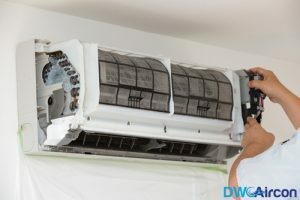 Having a professional Aircon servicing company service your aircon regularly will also ensure that your aircon remain energy efficient for years to come. Take Away Tip – Programmable thermostats are powerful devices that can heat or cool your home. These devices will make sure your home’s comfort level is maintained all the time. As suggested by its name, programmable thermostats offer automatic precise adjustments. 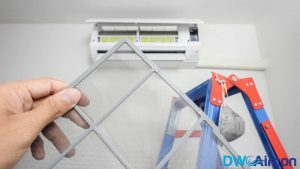 It is hard to adjust a normal aircon if you want a precise temperature throughout. Adjusting a thermostat adds another task to your daily schedule. Luckily, programmable thermostats don’t have this issue! The programmable device will make your life simpler so that you can enjoy the finer thing in life. Take Away Tip: The only drawback with programmable thermostats is maintenance. You must hire an Aircon maintenance in Singapore company and inspect the device regularly. 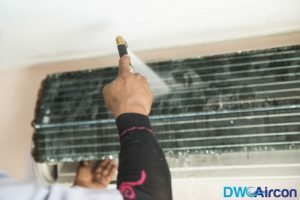 The Aircon cleaning company will ensure that the device is both clean and efficient. A lot of people admire the programmable thermostat for its precise settings. These are sophisticated devices that can control temperature to the most accurate point. When compared to traditional manual thermostats, the programmable ones are precise to half-a-degree. Also, there are humidity, light and motion sensors. These sensors are used to adjust the temperature of the room based on the number of people/objects. Programmable thermostats have centralized humidifiers and dehumidifiers. These systems are automatically adjusted based on the season. Take Away Tip: If your thermostat is not accurate, it needs the assistance of an Aircon cleaning company. Request the professionals to inspect and clean your device immediately.